Discussion in 'General Scientology Discussion' started by Leland, Aug 6, 2016. I've only seen these in Florida....but suppose they are nationwide? The name of this franchise.....kinda weird. Or perhaps chosen to be "new age?" That's nearly impossible. When you look at the pictures, what can you see ? Impressive, ("ideal") buildings, which are sterile and ..... nearly empty - exactly like in the Co$. In England the word is spelled "yoghurt." It comes from the Turkish. I actually drank some homemade roadside yoghurt from a jug in Turkey when I visited on a road trip in 1970: I was expecting something civilized and familiar and it tasted disgusting, Anyway, I digress. Change the store name to "Woghurtology" and the cult connection would be perfect. There's a certain store front in the shopping district in downtown that always catches my attention in the corner of my eye when I'm walking down the street . I always think it says the "S" word and then I look straight at it and realize it says "Vinology". That damn "ology" suffix gets me every time! In England the word is spelled "yoghurt." It comes from the Turkish. I actually drank some homemade roadside yoghurt from a jug in Turkey when I visited on a road trip in 1970: I was expecting something civilized and familiar and it tasted ********, Anyway, I digress. Probably you got something which is called: "Ayran"
Basically that is yoghurt mixed with water and salt. Oh yes, occasionally it is mixed with lemon balm, mint, basil, goat milk, dill or black pepper. Maybe you want to edit the ********, because you could be punished for insulting this wonderful drink. We were offered something in a glass jug that sounded like "yogoort?" and I assumed it was like the familiar yoghurt. If the guy had called it "Ayran" -- however that gets pronounced in Turkish it doesn't look like it will sound like "yogoort" -- I would have refused it on the basis of it not being the greatest of ideas to drink who-knows-what from a Turkish roadside person*. He wasn't even a vendor; just looked like a yokel intrigued by six young white foreign peeps including two girls. *Admittedly there's not a whole lot of difference between who-knows-what with a familiar name from a Turkish roadside person and who-knows-what with an unfamiliar name from a Turkish roadside person. Ah, the naivety of youth! Maybe you want to edit the ********, because you could put be punished for insulting this wonderful drink. I looked at the link. This stuff would be funny if it weren't so goddam sick. They fined a company the equivalent of $70,000 for "insulting Ayran". But what else would be expected from a culture that cuts off your head for insulting Mohammed or Islam? Yes, I tried one once and they are highly sterile. Not just the store designs....but the "getting the yogurt structure" of the franchise system also. The stores are extremely clean. I guess....sterile has its plus points...when dealing with food and food consumption. Many times I wondered how business owned by Public Scientologists......could get away with blatant usage of Cult Words or Cult Themes in their business titles and Company names...without getting into trouble with the Cult. Though....I don't think any Public Cult Businesses have used "Ology." It also makes me think that LRH himself jumped on that bandwagon of using Cult words.... with his "Clear Sound." I have no doubt that he saw the success of "Dolby" ....and its world wide acceptance as a Audio Standard.....and tried to carve out a slice of that pie for himself. I am so glad that he did not succeed at that....!! I get the impression this is a franchise started by a Scientology upstart who is still in the warm and fuzzy zone before the SRA arrives. To paraphrase James Coburn in Waterhole #3, “Maybe we take Scientology too seriously”….”Maybe we don’t take Scientology seriously enough”. ST PETE FLORIDA—September 27, 2013– Team USA’s Olympic hero, Ryan Lochte, will trade in his swim cap for a yogurt hat with the launch of two new flavors exclusive to Yogurtology and sales benefitting his personal charities.The concept was born from a “what if” brainstorm at The Clear Agency when the local franchise ownership team Jordan Levy, Jaclyn Levy, Ean Mendelsohn and Grant Levy who own 8 (soon to be 9 in Orlando) stores hired the firm to come up with a big idea to launch the Gainesville location and provide deep exposure for the brand. For the campaign, Clear worked with Lochte’s New York Agent to develop a line of Premi-Yum flavors exclusive to the franchise, with proceeds benefiting Ryan Lochte’s personal charities (Parent Project Muscular Dystrophy and the Mac Crutchfield Foundation). Yogurtology has pledged to donate a generous $20,000 to Ryan’s charities, with the expressed intention to raise even more. 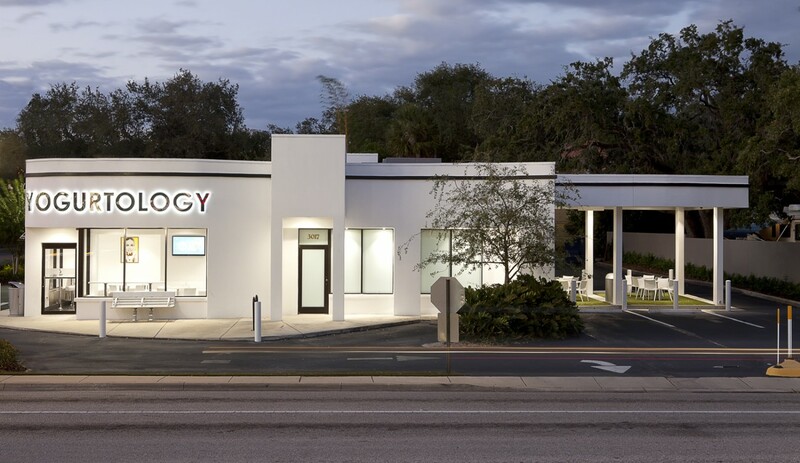 “Community is at the heart of the Yogurtology brand. With Ryan Lochte, we saw the opportunity to really make an impact in not only the Gainesville community, but that of his charities. Says Jaclyn Levy, Director of the Florida Stores for Yogurtology. “I’m proud to partner with a brand that not only values giving back, but rewards giving back. It’s cool to know that anyone near a Yogurtology location can help PPMD and the Mac Crutchfield Foundation just by eating frozen yogurt,” said Lochte. You know things are slow in scio world when we're talking about yogurt. Or when a franchise's most important marketing decision is made with no regard about being inadvertently associated with a controversial international cult with a following numbering in the millions. I suspected that you got some variant of Kefir. If someone puked milk through a nose full of sinus-infection induced snot, they'd approximate the texture and taste of Kefir. And don't anyone tell me I should taste the authentic stuff. I have. Just don't order the TR0. Or the Xenumango, Sec-Checkcherry or BigBlueberry. So I guess old Tampa money. LOL....It could even be a spoof of a sorts....that they made up that company name.